"Today is such a good day and I am surrounded by prominent law enforcement officials, so there can hardly be a better occasion to get prosecuted for another crime, for another deprivation of liberty which I allegedly committed between January 24 and 30 this year in [the Sicilian city of] Syracuse," Salvini said. 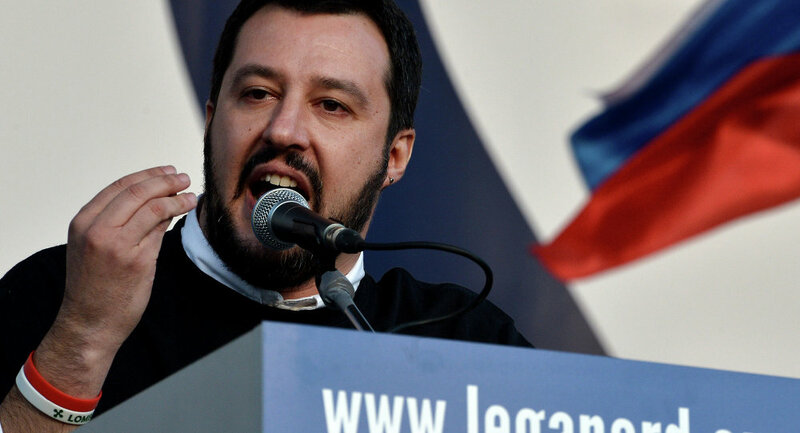 Salvini added that he had been informed of the case against him by Carmelo Zuccaro, the chief prosecutor of the Sicilian port city of Catania. Zuccaro sent the case to the ministers’ tribunal, a body with the right to conduct investigations into the members of the government. "I am again among the suspects, but I take my chance to say again that the Italian ports will remain closed," the minister stressed. 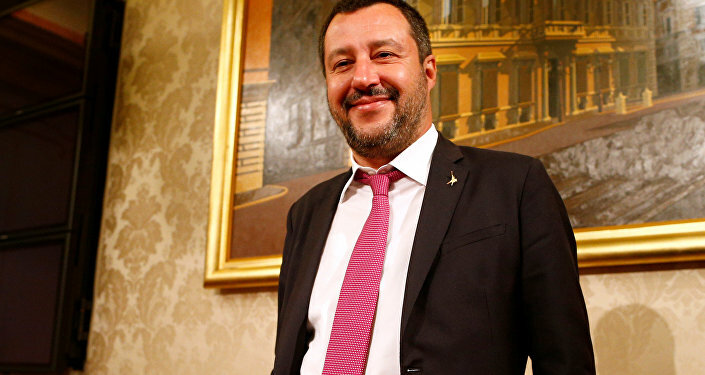 Prosecutors already placed Salvini under formal investigation in August in connection with alleged illegal detention and kidnapping of migrants, whom he did not let disembark in Sicily. In March, the Italian Senate voted down the case against the minister. The new case against Salvini deals with a twelve-day stand-off between a ship belonging to Sea-Watch humanitarian organization and the Italian authorities that occurred in January. Back then Salvini accused the organization of abetting illegal migration — by rescuing asylum seekers in the Mediterranean and bringing them to the shores of Syracuse — and refused to let migrants disembark in Italian ports. After long negotiations, 47 people were finally allowed to disembark in Italy after seven European countries, including Italy itself, agreed to receive them.